On behalf of the Massachusetts Institute of Technology (MIT), I thank you for your letter on university endowments received on January 28, 2008. We are grateful to you and the other members of the Senate Finance Committee for opening this dialogue on an issue of tremendous importance to the nation: the cost and the value of higher education. For the United States more than for any other country, higher education is deeply entwined with two key facets of our national story: our striking social mobility and the power and resilience of our economy, which increasingly runs on the fuel of innovation. Today, there are signs that this system overall is not working as well as it might for individual families or for the country as a whole. From the land grants of the Morrill Act, to the G.I. Bill, to the Higher Education Act of 1965 and the extraordinary variety of educational institutions today, higher education has long held the keys to social mobility in the United States, and it still does. As the U.S. Census tells us, over the last two decades the only categories of American households that saw an increase in income were those headed by someone with at least a college degree. Unfortunately, for a variety for reasons, including stalling income, rising tuition, and stagnating government aid, a growing number of low- and middle-income students and their families feel locked out of this essential pathway to personal success or feel obliged to take on unmanageable amounts of college debt. It is impossible to calculate the cost to the country of this thwarted potential. At the same time, new threats loom in terms of the ability of our higher education system to continue stoking the engines of the U.S. innovation economy. As renowned MIT economist Robert Solow has calculated, of America’s economic growth since World War II, more than half can be traced to technological innovation. From the microchips that launched an industry to today’s dazzling advance­ments in medicine through biological engineering, much of that innovation has sprung from federally supported research universities, through the leaders we cultivate and the new knowledge and technologies we create. As I learned unforgettably on recent trips to China and India, the distinctive American model of higher education is the envy of the world – for its openness, flexibility, focus on innovation, and meaningful government support without burdensome government control. Other countries have witnessed our success, and they are copying our model with speed. According to a Shanghai Jiao Tung University survey, 17 of the world’s top 20 research universities are here in the United States. Today, however, China is pouring vast resources into building and staffing a fleet of new universities, with the goal of vaulting five of them into the top 20 ranking by 2020. The United States boasts the world’s most highly educated workforce, but we are quickly losing our lead. For example, in 1995, the United States ranked second among OECD countries in the fraction of students who had completed college; in 2005 (the most recent survey) we ranked 15th. The explanation for this precipitous drop is not that our graduation rates fell but that other countries’ college completion rates have increased far faster. Of particular concern to us at MIT is the comparatively low percentage of U.S. students who pursue science and engineering, relative to their peers in other countries. Of the bachelor’s degrees awarded in the United States, about 16.8 percent were awarded in the natural sciences and engineering. In China, the comparable figure is 51 percent, while in Singapore it is 58 percent. The comparison is even more stark in engineering alone, which accounts for 4.6 percent of bachelor’s degrees in the United States but about 20 percent in Asia. Unchecked, this slide will have punishing repercussions for our economy and our nation. In this turbulent age, an extraordinary number of humanity’s most urgent problems center on science, technology, or questions that require advanced quantitative analysis – from the need for clean, secure energy sources, to climate change and environmental degradation; from obesity and cancer to global poverty and pandemic diseases like AIDS. In this context, we must sound an alarm over the country’s waning strength in science and engineering. All this forms the troubling backdrop to the conversation that the Committee has begun. At MIT, we are keenly aware of these challenges and their implications, both for individual students and for the nation as a whole. Although we surely cannot solve this national problem alone, we are grateful for the chance to explain the series of steps that we have taken and will continue to take to contribute to a national solution. This letter provides an overview of those steps; detailed answers to your specific questions are appended. We are increasing MIT’s tuition relief faster than our tuition. Senator Grassley has recently expressed his view that as tuition rises, tuition relief should go up just as fast. We could not agree more. Between 1998 and 2007 – the 10-year period about which your letter asks – MIT more than doubled its undergraduate need-based grants, from $27 million to $60 million, and in this 2008 academic year our grants increased to $66 million. The average annual growth rate of MIT undergraduate grants over this period exceeded 9 percent, which is significantly greater than the 4.2 percent average annual growth rate in tuition and fees. Because the growth in grants from MIT greatly exceeds the growth in tuition, our undergraduates are, on average, paying almost 15 percent less than they paid ten years ago, after adjusting for inflation. For an increasing number of MIT students, their tuition and fees are completely covered by MIT. For the 2007-2008 academic year, 20 percent of undergraduates received an MIT grant greater than tuition and fees. Currently, 60 percent of MIT undergraduates receive scholarship aid from MIT’s internal resources. This aid brings their average net tuition to $8,100, a figure close to the in-state price of many public universities. Ninety percent of MIT undergraduates received some form of financial aid, including scholarships, grants, work-study, and student loans from all sources. MIT grants provide more than three-quarters of the total financial aid that its undergraduates receive. We are driving down student debt. Over the past ten years, MIT’s increases in need-based scholarships have reduced student borrowing by more than half. Median debt for MIT students at graduation fell 51 percent, from $23,640 in 1998 to $11,500 in 2007. The number of undergraduates in the senior class with debt at graduation has dropped dramatically, from 702 (67 percent) in 1998 to 477 (49 percent) in 2007, so that in last year’s graduating class, more than half graduated from MIT with zero financial aid debt. We are committed to “need-blind” admissions and to meeting students’ full financial need. Because science and engineering careers have long been an escalator of social mobility in the United States, MIT educates a high proportion of first-generation college students – 16 percent in our most recently admitted class. MIT also works hard to ensure access for qualified students regardless of their family’s resources. Seventeen percent of all undergraduates come from families earning less than $45,000 a year, and 22 percent come from families earning less than $60,000. We do not award any academic, athletic, or other forms of merit scholarships. All of our student aid is need-based. We meet the full demonstrated financial need of all admitted U.S. students; if a young person has the talent to get into MIT, we make sure that he or she can actually attend. Since 2006-2007, MIT has matched federal Pell grants to needy students, dollar for dollar, effectively doubling this federal grant. In recent years we have also made investments to ease the burden on middle-class families. Over the next four years we will increase support for this group. It is worth noting, however, that even families paying “full freight” receive a dramatic if invisible subsidy from MIT: our tuition represents less than half of what it costs the Institute to educate an undergraduate. While we focus our aid on those with the fewest resources, we do provide aid to some families with incomes well above $100,000 who have demonstrated need – for example, because they have more than one child in college at a time. Not surprisingly, MIT is deeply committed to maintaining U.S. leadership in science and engineering, both in the way we educate our students and in the focus of our innovation and research. Yet this commitment comes with a price. At MIT, of our roughly 1,000 faculty members, approximately two-thirds hold appointments in our Schools of Science and Engineering. The vast majority of our undergraduates – 85 percent – specialize in these fields as well. We provide them with mentor-based education in state-of-the-art laboratories, and we engage many of them directly in hands-on research, side-by-side with our faculty, from the start of their college careers. Needless to say, this is an inherently expensive process; a high-throughput screening device for genomic research in a lab staffed with expert technicians indisputably costs more than a lecture hall or seminar classroom. At MIT, like other universities, a very high percentage of our operating costs are fixed costs, predomi­nantly labor costs for instruction and research. Such fixed costs cannot be cut significantly without damaging our ability to perform breakthrough research and provide hands-on, lab-based, apprenticeship-style education. 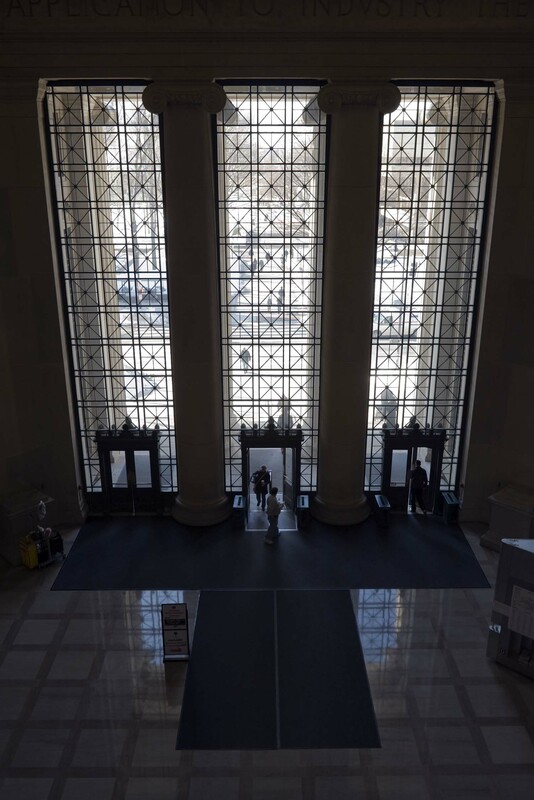 In addition, MIT’s operating costs have been rising at a significantly higher rate than the consumer price index because of the rapidly escalating cost of advanced science and engineering equip­ment and facilities. MIT endowment spending plays a critical role in student aid. Our ability to offer the scale of student aid that we do depends largely on generous support from genera­tions of alumni and donors, on our ability to steward those endowment funds carefully over time, and on our ongoing commitment to spend unrestricted endowment earnings on student aid. To support both the education and research sides of our mission, MIT has spent significantly from its endowment resources. Each year since 1999 we have spent more than 5 percent of the three-year average market value of our endowment. At the end of fiscal year 2006-2007, the MIT endowment was held and administered in 2,898 separate funds, and 82 percent of those individual funds were restricted to meet specific donor requirements. Roughly 13 percent of the endowment’s value consists of endowed funds that donors restricted for undergraduate financial aid; this is the second largest endowment category after professorships. Over the last ten years, these funds provided an average of 71 percent of MIT’s under­graduate financial aid expenditures. We paid for the remaining 29 percent by using unrestricted MIT budget sources. To continue our strong student aid policies, a current fundraising campaign focuses on increasing our endowment funds that serve our students. In a few years, MIT will celebrate its 150th anniversary. That we have survived and flourished so long is due in no small part to the prudence of our fiscal management. Our charge now is to manage our assets so we may fulfill our mission well beyond the next 150 years. While investments have performed admirably for much of the last two decades, the experience of several long troughs during the previous 50 years dictates prudence and cautions against favoring short-term needs. For our students, the benefits of an MIT education are direct and obvious, but directly and indirectly, MIT provides enormous value to the nation as well. As an example, over the past two years, we have embarked on a major campus-wide initiative to address the world’s energy challenge. In addition to research breakthroughs, we issued landmark reports on the status and future of coal, nuclear, and geothermal energy. Together these reports were instrumental in shaping Congressional action on what may be the single most pressing problem of our time. In terms of national defense, MIT played a vital role in developing radar – a technology pivotal to winning World War II – as well as in creating the first air defense systems. More recently, our Institute for Soldier Nanotechnologies has produced major advances in fields as varied as sensors, sonar, and devices to detect IEDs. MIT has also transformed biomedicine, speeding the Human Genome Project to completion and spawning such revolutionary ideas as tissue engineering, the first internal drug delivery systems, and the first polymer-based therapies to deliver chemotherapy directly to tumor sites. Entire segments of the nation’s economy have sprung from MIT’s contributions to these and other scientific and technological breakthroughs. Our graduates also contribute directly to the vibrancy of America’s innovation economy. A 2003 survey of MIT alumni found that 2,259 had founded 1,845 companies all over the nation. Twenty-four of these firms were valued at more than a billion dollars each. That same year, these companies buoyed the national economy with $136 billion in annual revenue and a combined workforce of 416,260 employees. I am a high school student with little opportunity to learn of subjects outside of mathematics and English. Your website has contributed hundreds of hours to my education in Physics as well as Biology. Discovering and utilizing MIT’s OpenCourseWare site was like finding $40,000 sitting on a park bench. Society realizes tremendous social and economic returns on the teaching and research that go on at MIT and America’s other colleges and universities. The innovations that we spawn and the new leaders whom we educate are critical to the vitality of our communities, the health of our economy, and the prospects that we will be able to manage a future fraught with very serious scientific and technological challenges. If we are to invent solutions to the nation’s energy and environmental problems in our lifetimes, outpace our technological competitors, and sustain our economic growth, we must begin by ensuring that students with the talent and motivation to contribute to these efforts have access to the higher education they need. America is built on the premise of open educational opportunity. Yet today, it is clear that making higher education accessible to all qualified students requires a partnership not only between colleges and families but also with government. Unfortunately, in recent years, this historical partnership has begun to falter. As you know, until this academic year the Federal government had frozen the level of Pell Grants for four years in a row. This decade, state universities have faced serious declines in the level of state support. The time has come to renew this three-way partnership among colleges, families, and the government for the good of the nation we all serve. MIT has a proud tradition of opening our doors to students from every background through generous financial aid and of dedicating our institutional resources to teaching and research in service to the nation and the world. We are grateful for the opportunity to share our efforts with you, and we look forward to continuing this important national conversation.